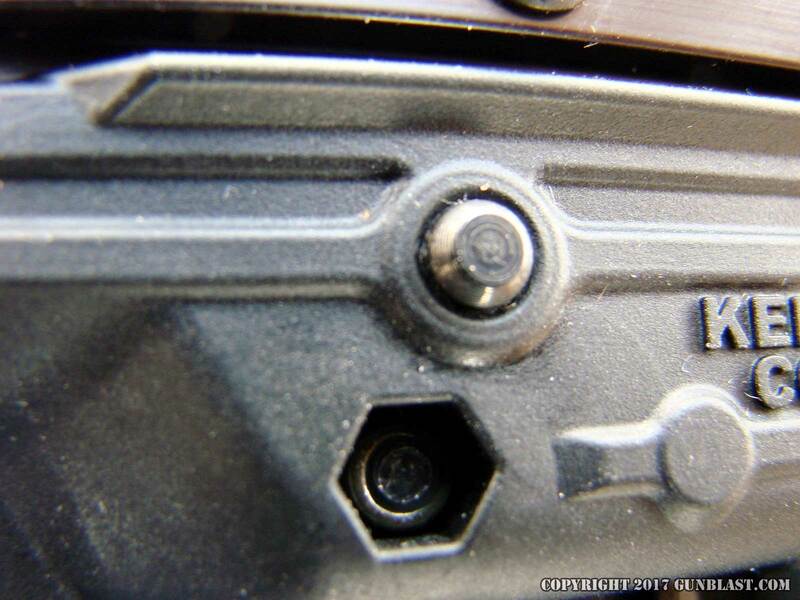 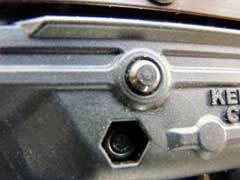 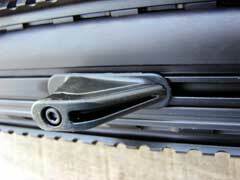 Magazine catch (top), bolt lock (bottom). 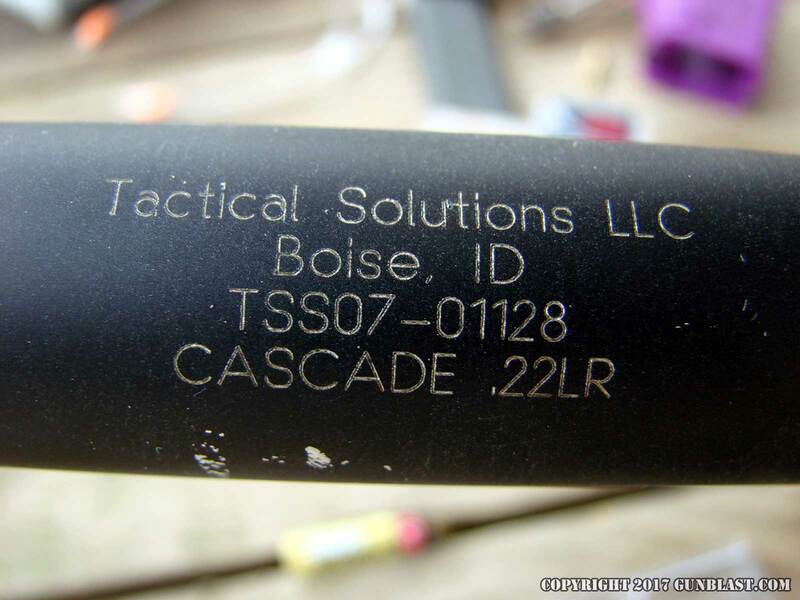 Muzzle is threaded 1/2x28 TPI for attaching a brake or suppressor, such as this Tactical Solutions "Cascade" model (no longer available). 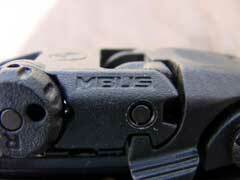 When I first saw a prototype of the Kel-Tec PMR-30 pistol at the 2010 SHOT Show, I was immediately impressed. 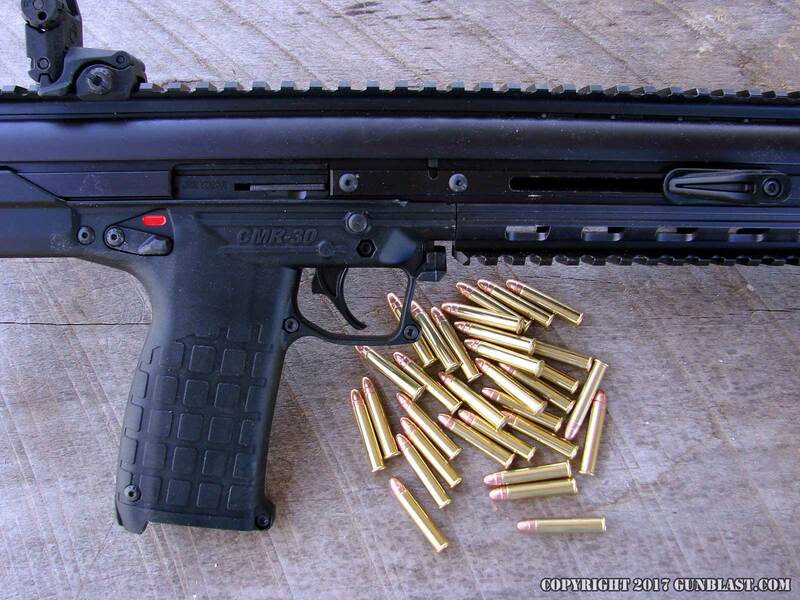 I was so taken with this lightweight little 22 magnum pistol that I flew down to Florida in May of that year, to get a bit of trigger time with the prototype, as well as a full-auto version of the same. I came away from there thinking, “I’ve got to get me one of these!” I have since purchased three of the PMR-30 pistols, obtaining my first in September of 2010. 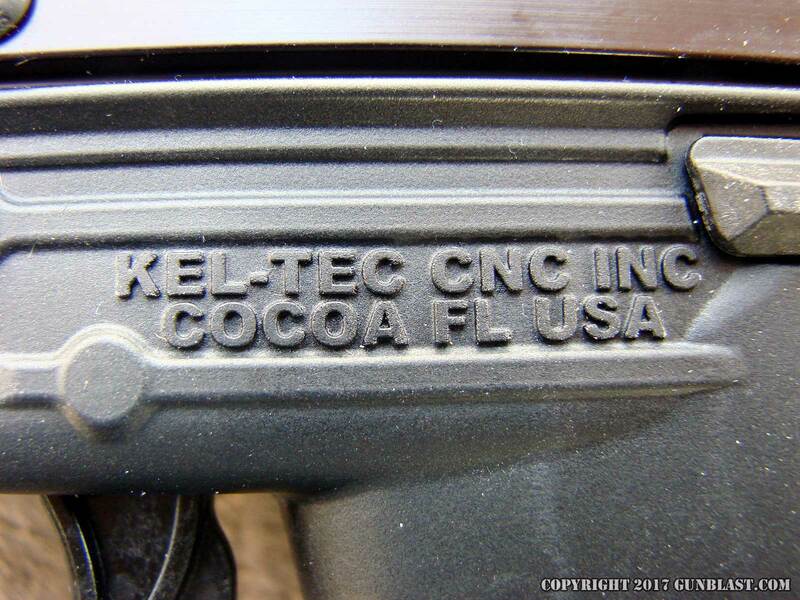 I also immediately started pestering the good folks at Kel-Tec to make a carbine version of the PMR-30, which they already had plans to do. 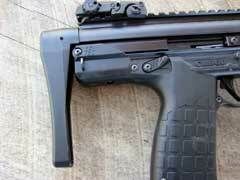 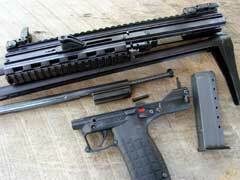 Kel-Tec is big on innovation, but have never been able to keep up with the demand for their most-popular firearms. 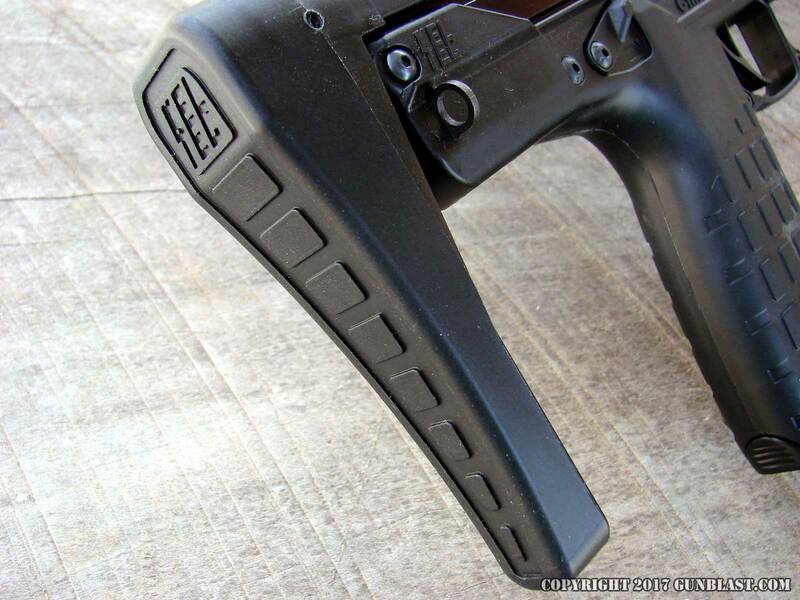 I have previously seen a couple of the CMR-30 carbines at industry shows, but it was only recently that I was able to get my hands on one for review, and that weapon is featured here. 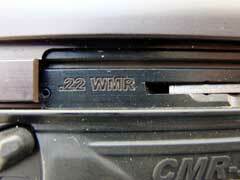 The CMR-30 is very much related to the Kel-Tec’s excellent PMR-30 pistol. 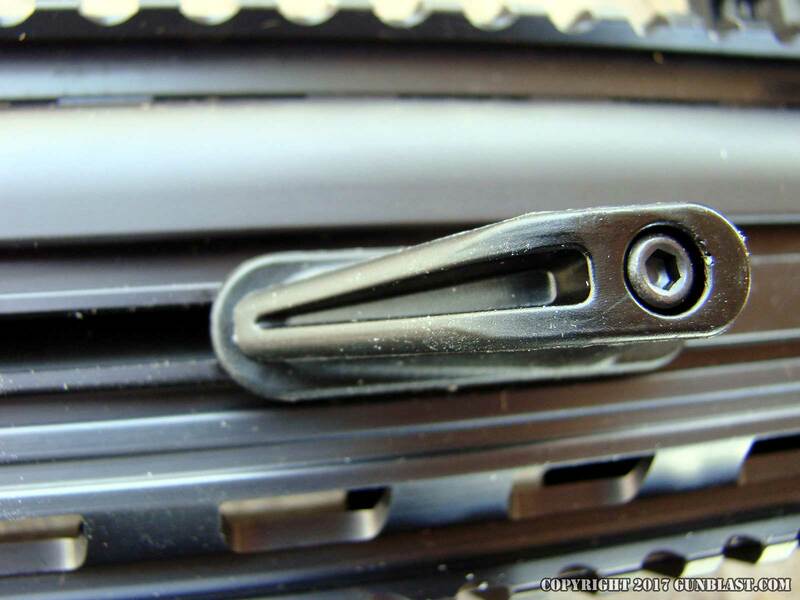 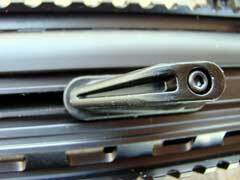 The two share a common magazine, grip, and various small parts, with the CMR using a bolt instead of a slide. 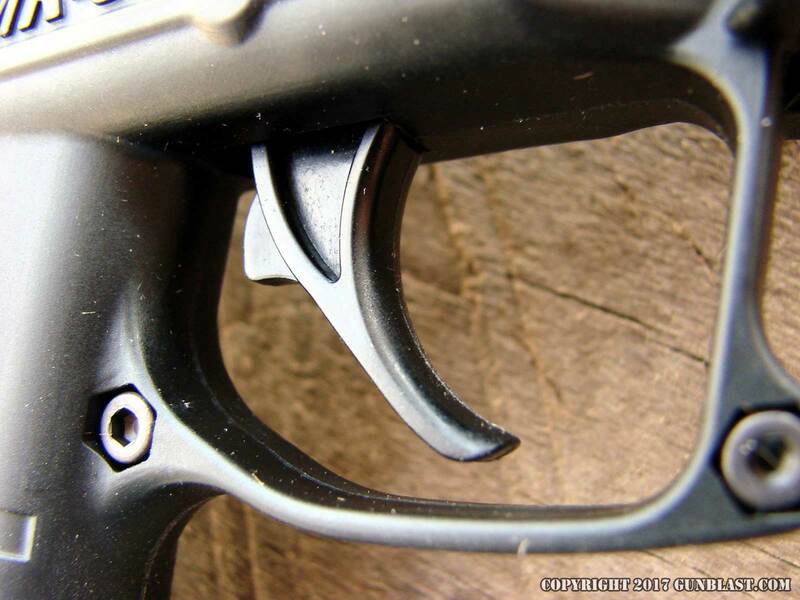 The trigger pull is very smooth, with a bit of travel, and releases with just under three pounds of resistance. 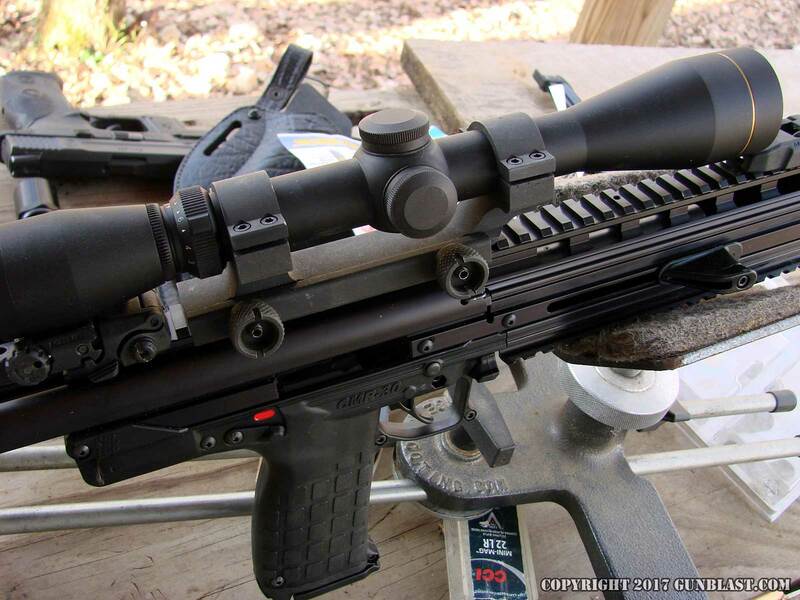 Very nice. The grip is tapered back to front, and is very comfortable in my hand. The buttstock consists of two rails and a buttplate, which telescope from the receiver, with six locking positions. 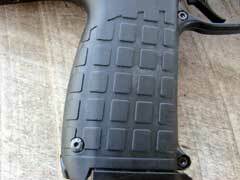 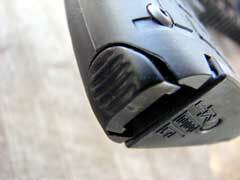 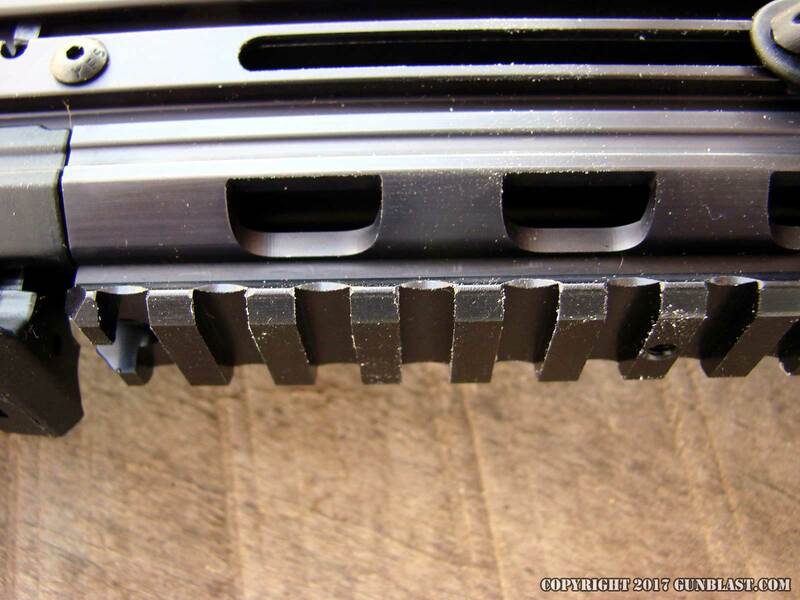 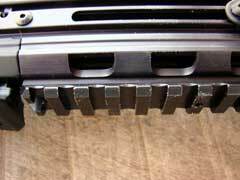 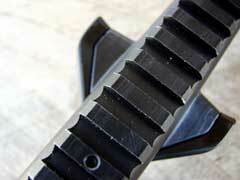 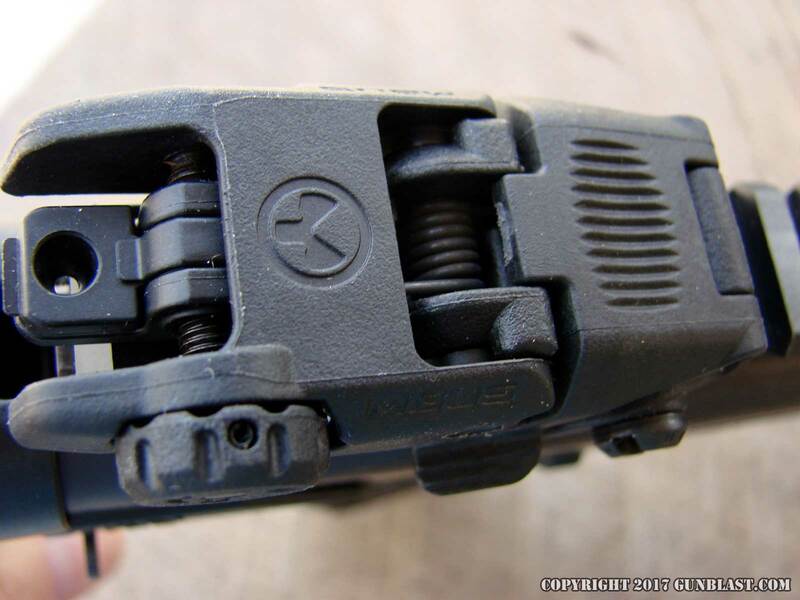 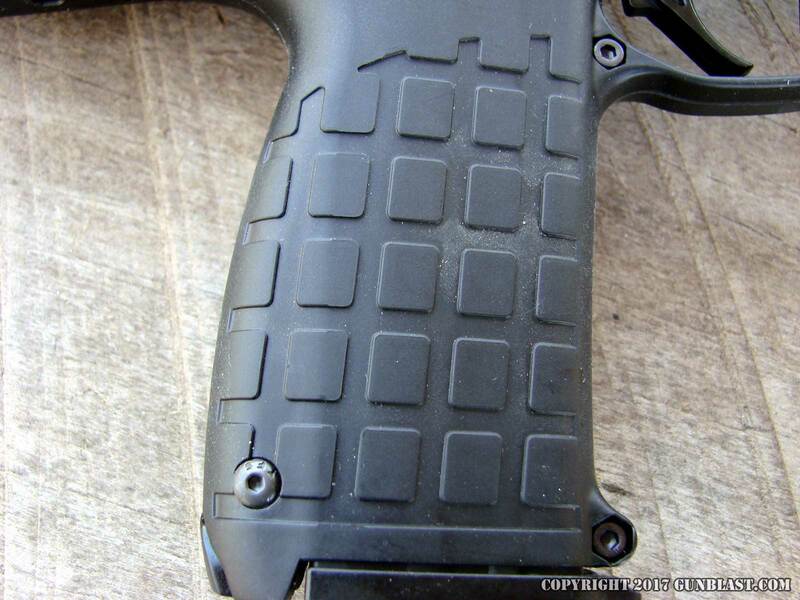 Like the PMR pistol, the magazine catch is at the heel, and functions well. The magazine has a capacity of thirty rounds. 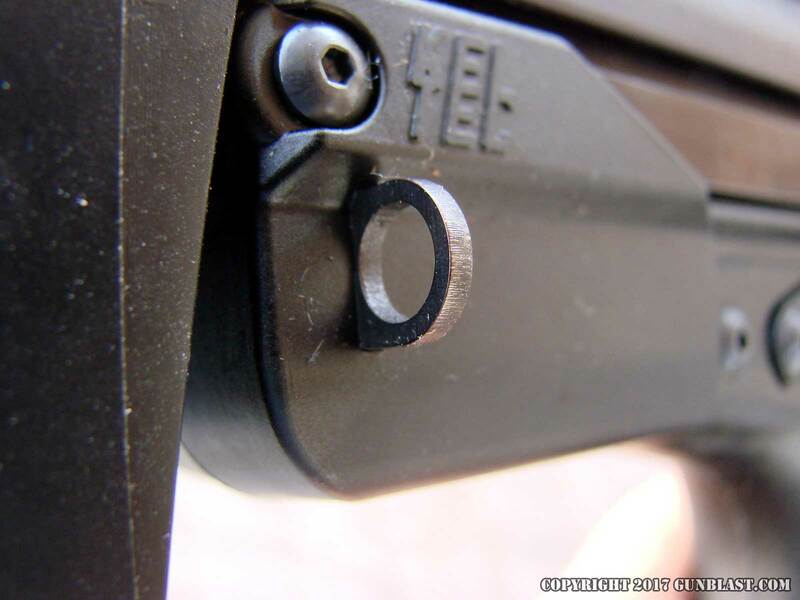 The CMR-30 has a continuous rail atop the receiver/handguard, with another rail on the bottom, forward of the trigger guard. 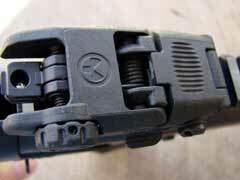 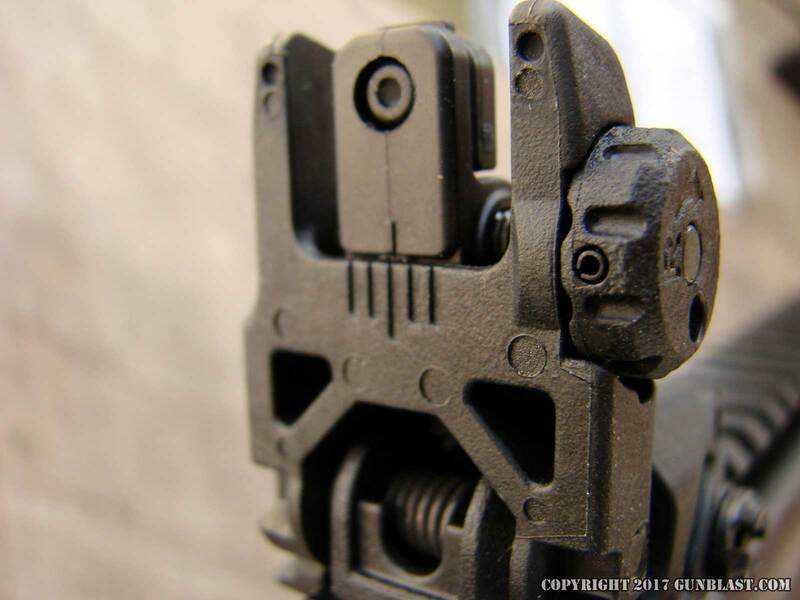 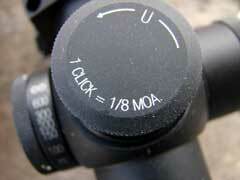 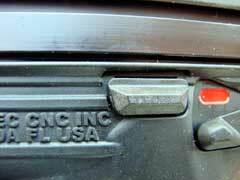 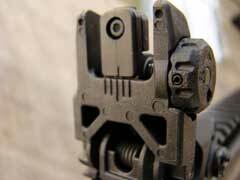 Adjustable, folding Magpul MBUS sights are attached on the upper rail, but are removeable, if necessary. 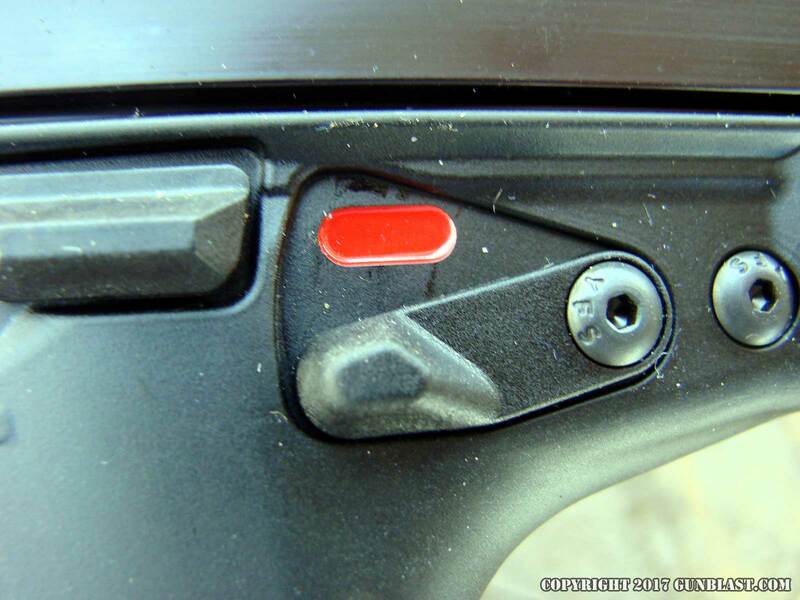 The two-position safety is easy to use, and has ambidextrous levers. 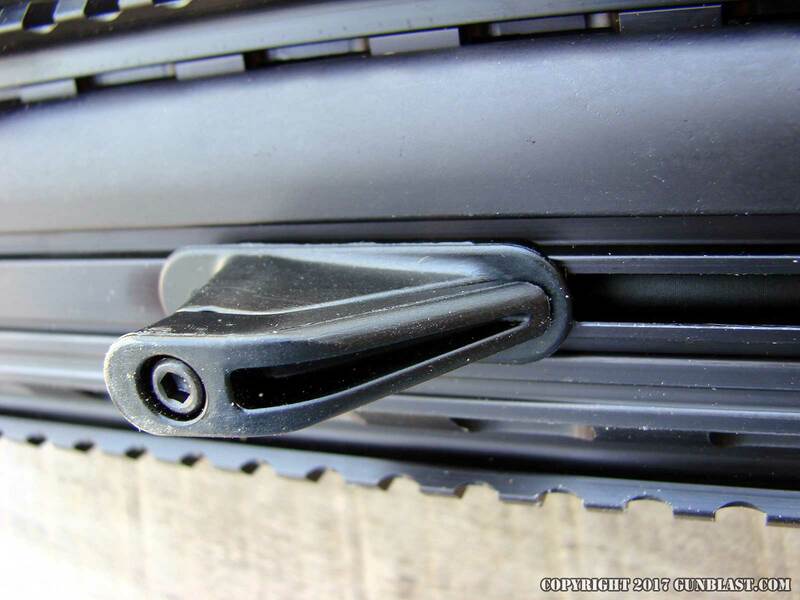 The non-reciprocating charging handles are at the three and nine o’clock positions on the forward handguard section, and are easy to use. 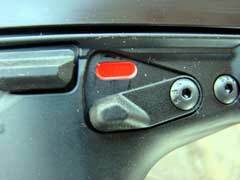 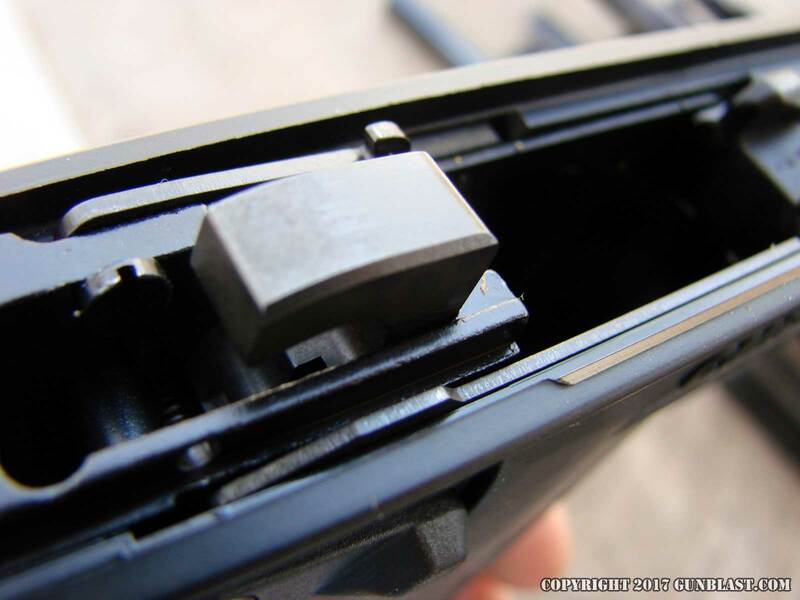 The bolt locks open on an empty magazine, in case the shooter loses count before he has fired the entire thirty rounds. 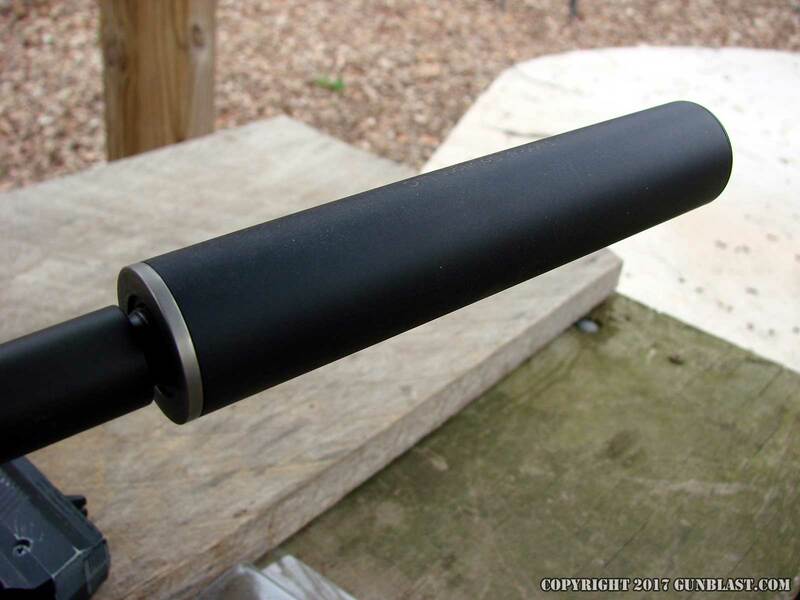 The sixteen-inch barrel is threaded at the muzzle 1/2x28 TPI (threads per inch), for the attachment of a brake or suppressor, if desired. 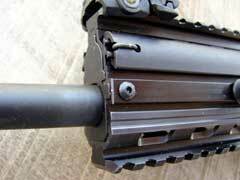 The barrel measures .62-inch diameter, and has a one-in-fourteen-inch rifling twist. 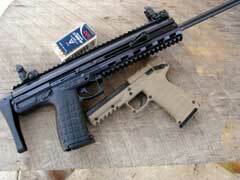 The CMR-30 weighs in at three pounds, fourteen ounces on my scale. 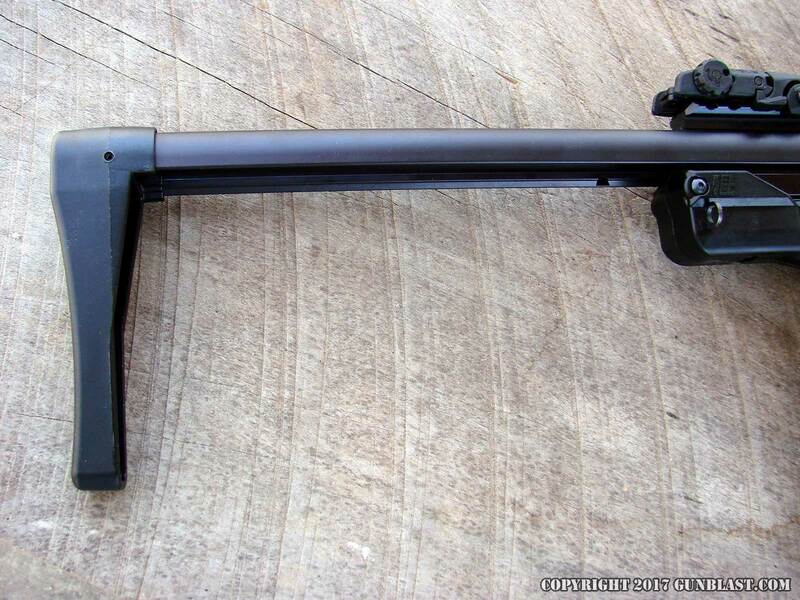 The overall length measures just under thirty inches with the stock fully extended, and just twenty-two and one-half inches with the stock collapsed. 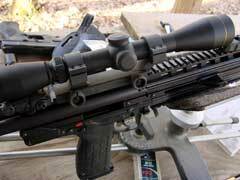 I only had five different types of ammunition available to try in the CMR-30, but those were enough. 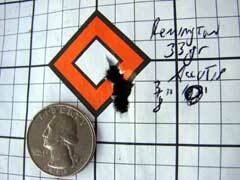 Kel-Tec states clearly in the manual to use good ammunition of 40-grain bullet weight, but I tried others as well. 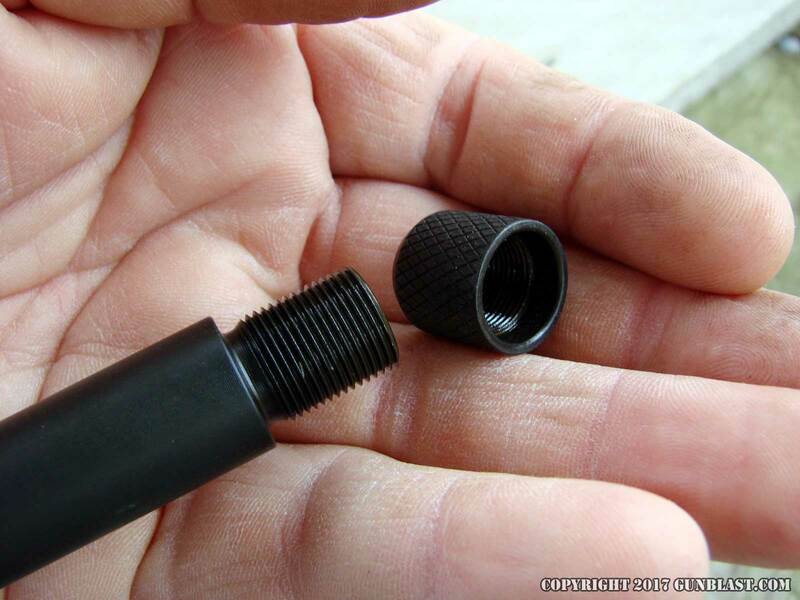 True to the manual, only the 40-grain ammunition had enough power to reliably cycle the bolt. 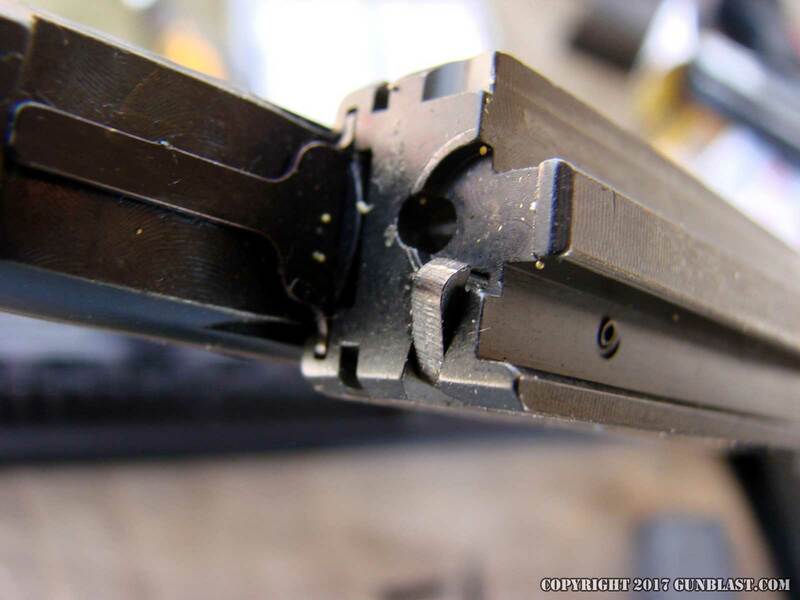 The lighter weight bullet loads did not. 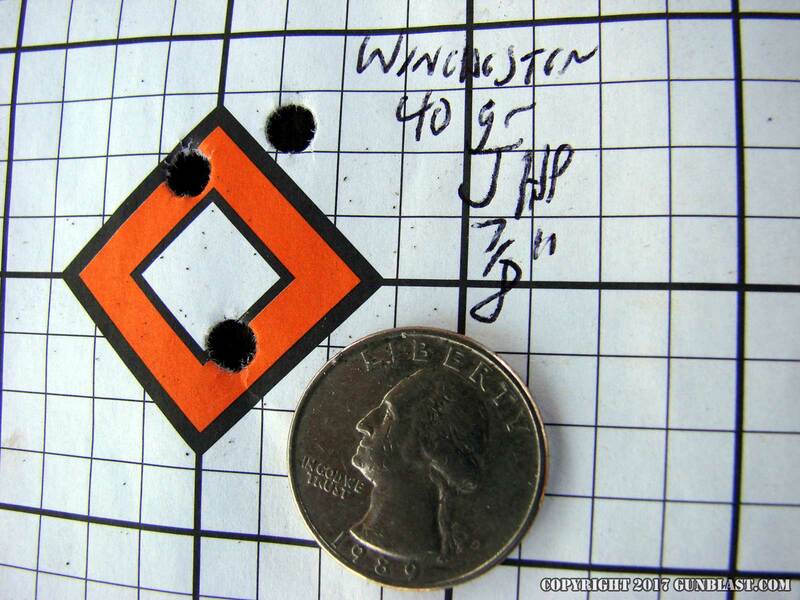 However, accuracy with every bullet weight tried was superb, and reliability with the three 40-grain bullet loads was one hundred percent. All three brands fed, fired, and ejected flawlessly. 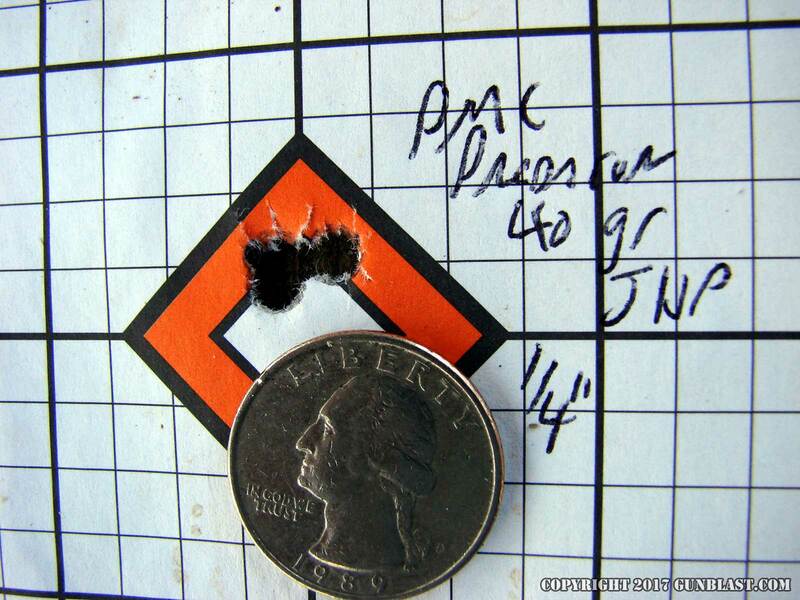 Velocities are recorded in the chart below, and reflect an increase in velocities of between 355 and 619 feet-per-second (fps) over the performance of the same loads from the shorter barrel of the PMR-30 pistol. Velocities were recorded at twelve feet from the muzzle, and are listed in feet-per-second. 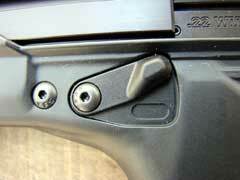 Bullet weights are listed in grains. Velocities were recorded at approximately 541 feet above sea level, with an air temperature of sixty-two degrees Fahrenheit. JHP is jacketed hollowpoint. 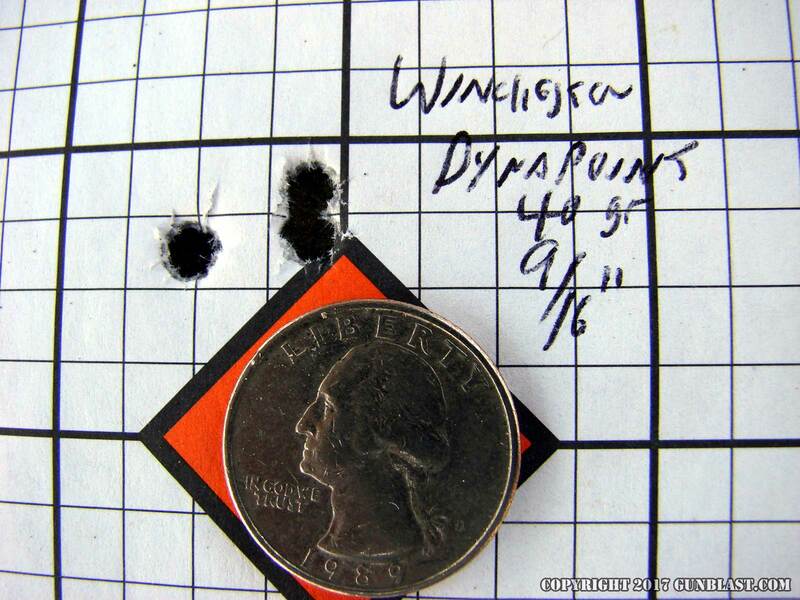 As is evident in the velocity chart, the 40-grain bullet loads are best in the 22 Magnum. 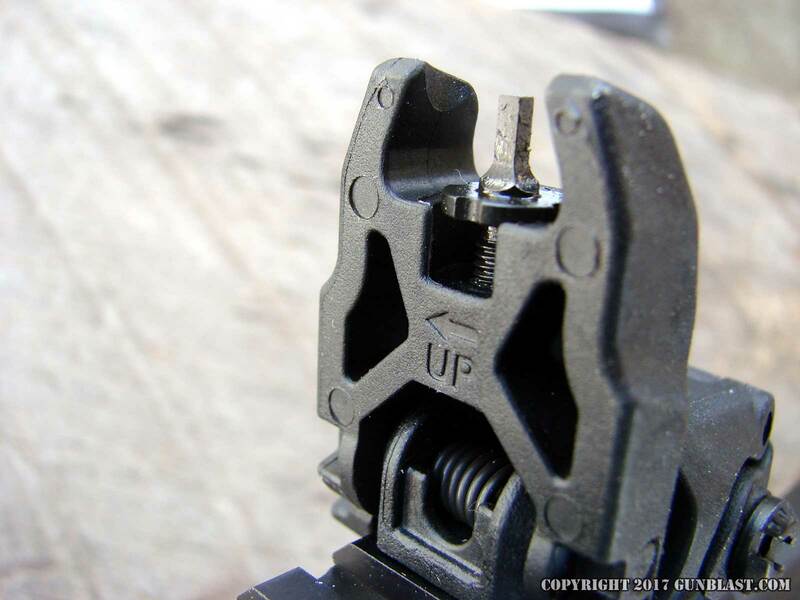 Trading bullet weight for a slight increase in velocity is not a good idea. 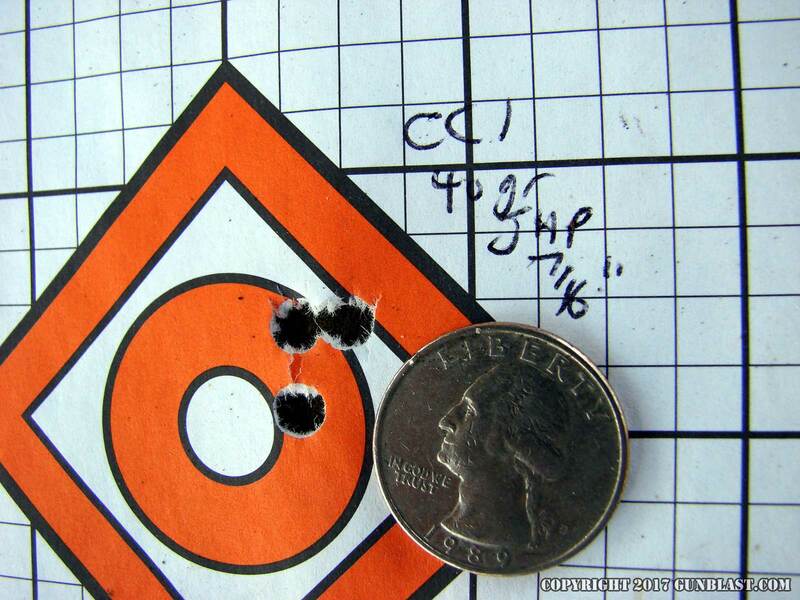 The 22 Magnum cartridge has been around since 1959, and built its excellent reputation on the 40-grain bullet. 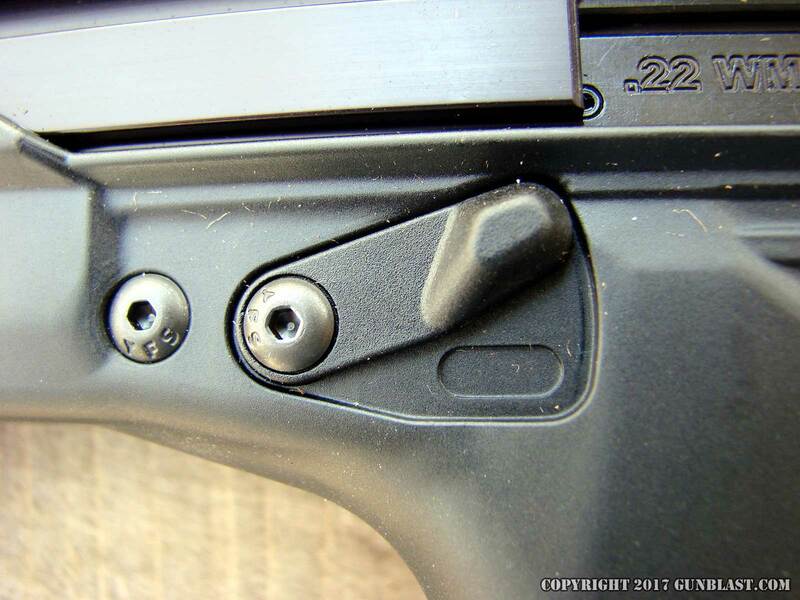 I prefer hollowpoints, and weighing accuracy and velocity, have settled upon the CCI Maxi-Mag hollowpoint as my preferred load in this CMR-30 carbine. 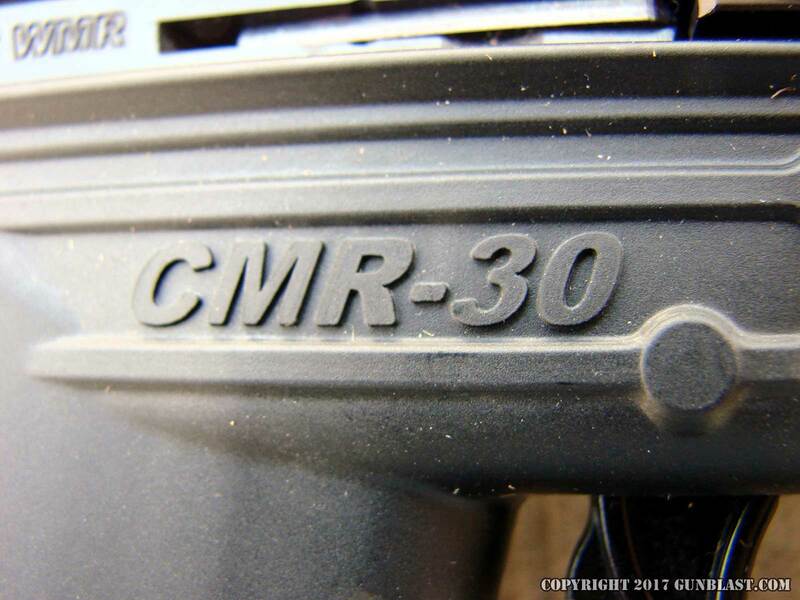 The CMR-30 is entirely capable of taking vermin and predators cleanly, and is often preferred by fur hunters for taking fox and coyote, without doing much damage to the hides. While not my first choice for a defensive carbine, I would certainly feel well-armed with a CMR-30 in a home-defense role, if necessary. The weapon is light and handy, and the 22 Magnum has an excellent reputation for penetration. 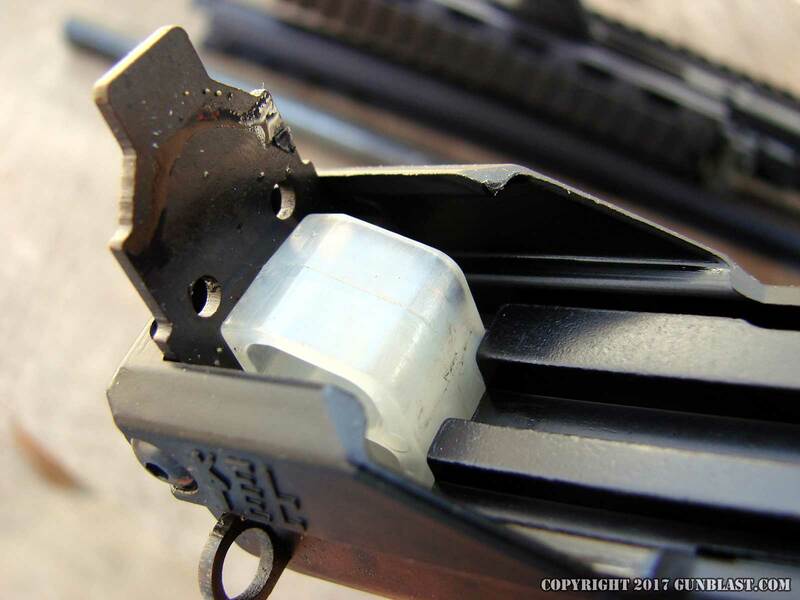 The little cartridge’s performance is all out of proportion to its diminutive size. 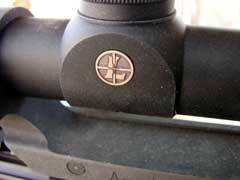 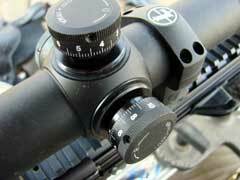 For accuracy testing, I mounted a my Leupold VX-6 scope in Leupold 34mm rings atop the CMR-30 Picatinny rail. 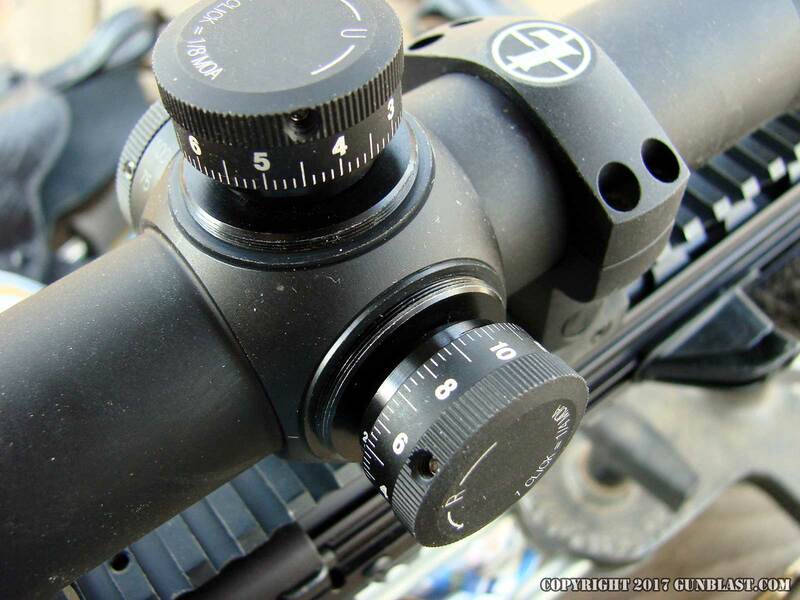 This scope will crank up to 42 power, and along with the Target Shooting Model 500 rifle rest, allows me to see just how well a rifle can shoot. 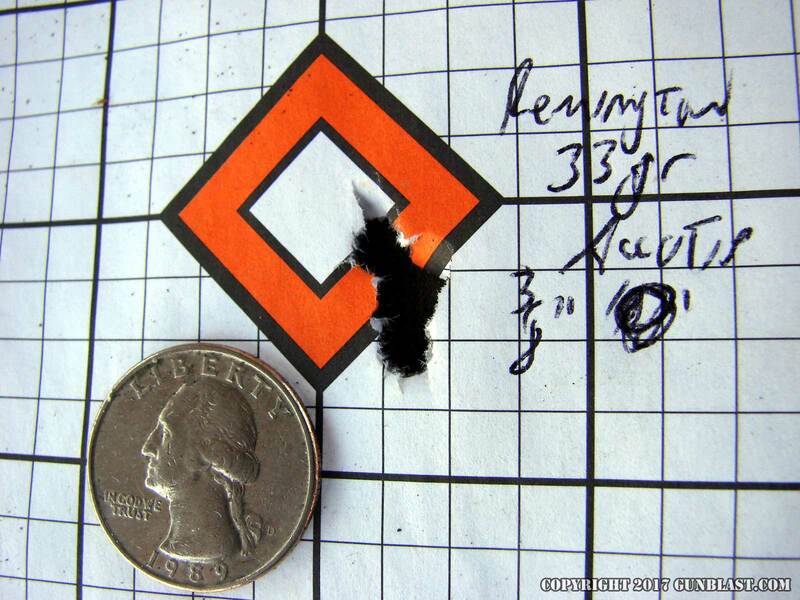 The CMR-30 was much more accurate than I ever expected it to be, and the groups pictured are representative of the accuracy displayed by this rifle. 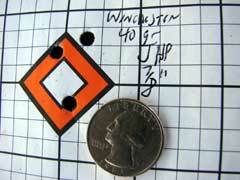 The largest group fired measured only seven-eighths of an inch at fifty yards, and most groups measured half that. Wonderful accuracy, especially from a carbine of this type. 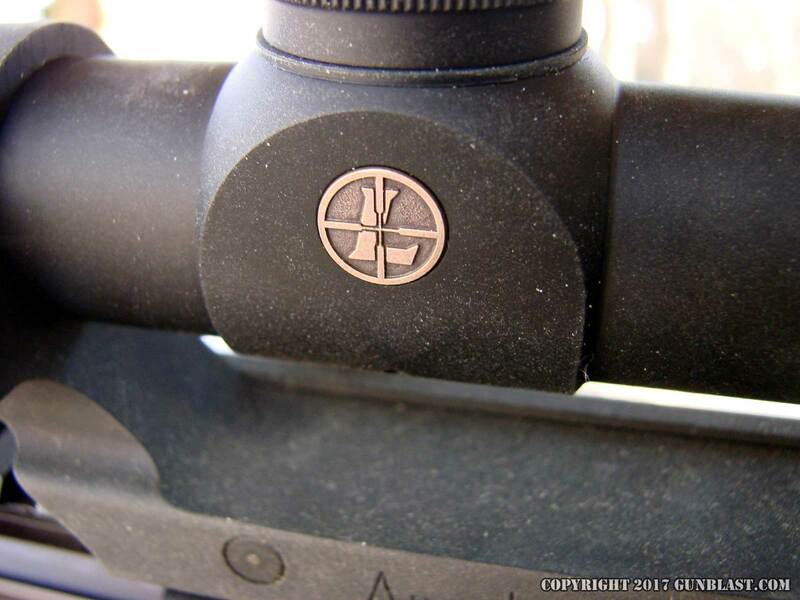 For most of my shooting, I used either the provided Magpul sights, or a Leupold VX-1 3 to 9 power scope, which is much more-fitting to the size and intended use of this rifle. 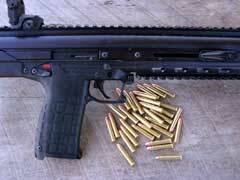 The Kel-Tec CMR-30 carbine is a dandy little lightweight 22 Magnum rifle. 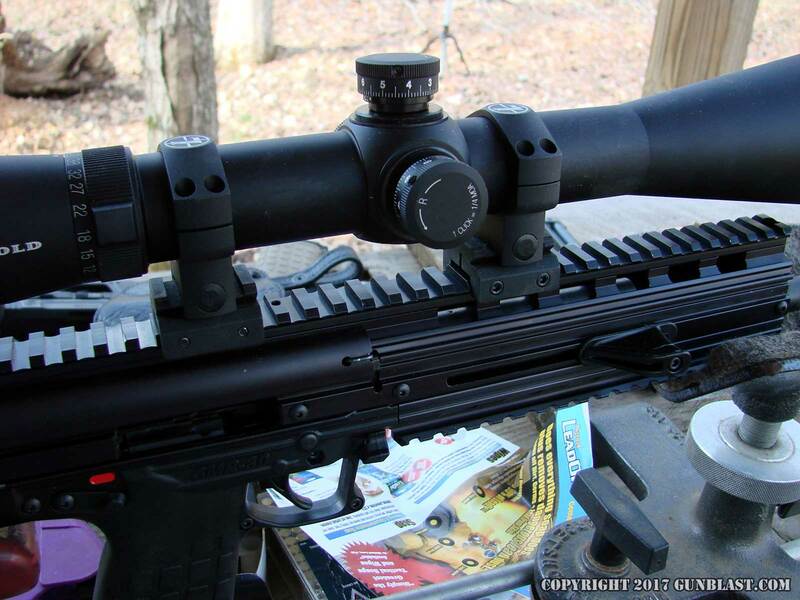 It is capable of match-grade accuracy, has a generous magazine capacity, and can double as a handy predator-hunting rifle and a compact weapon for home defense. 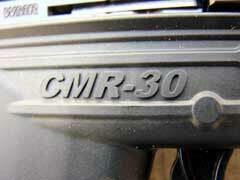 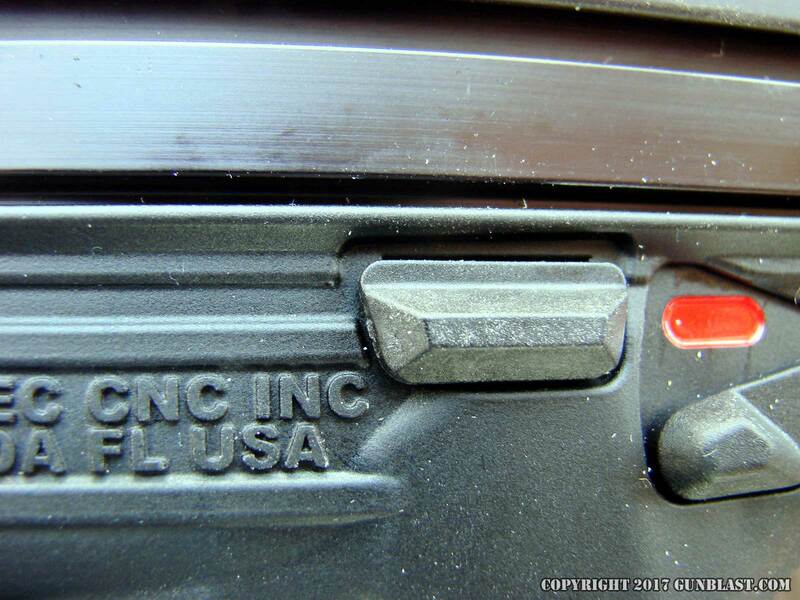 The CMR-30 is built right, and built in the USA. Suggested retail price, as of the date of this review, is $630 US, and includes two thirty-round magazines and owner's manual. 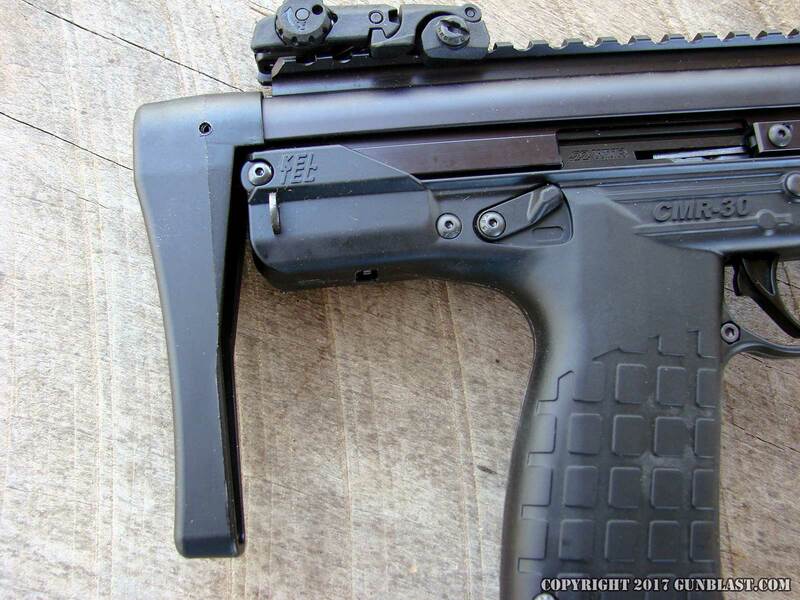 Check out the CMR-30 and other firearms and accessories online at www.keltecweapons.com. 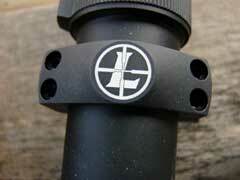 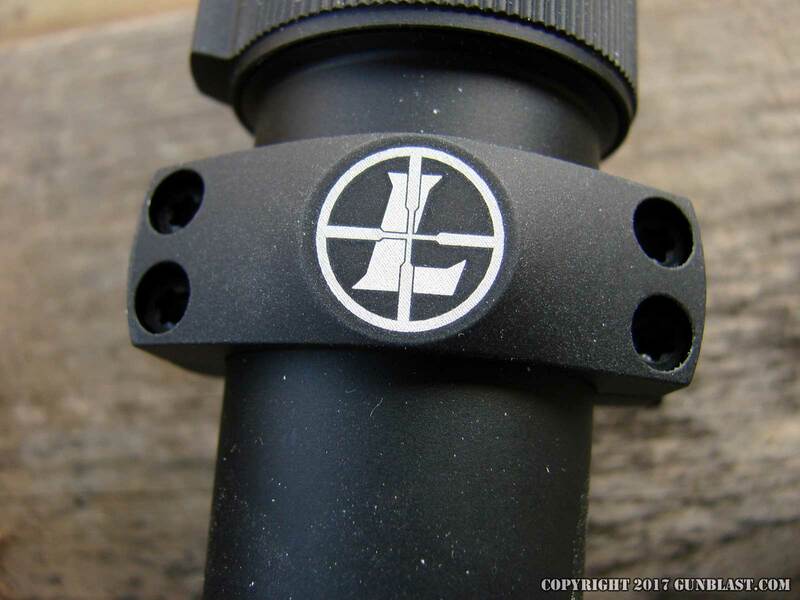 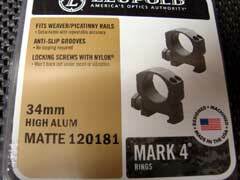 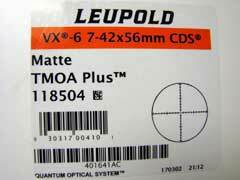 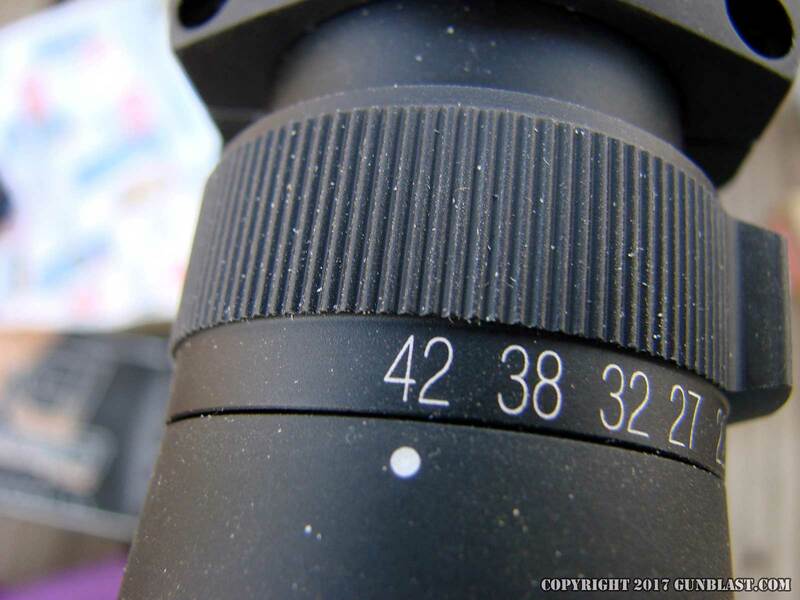 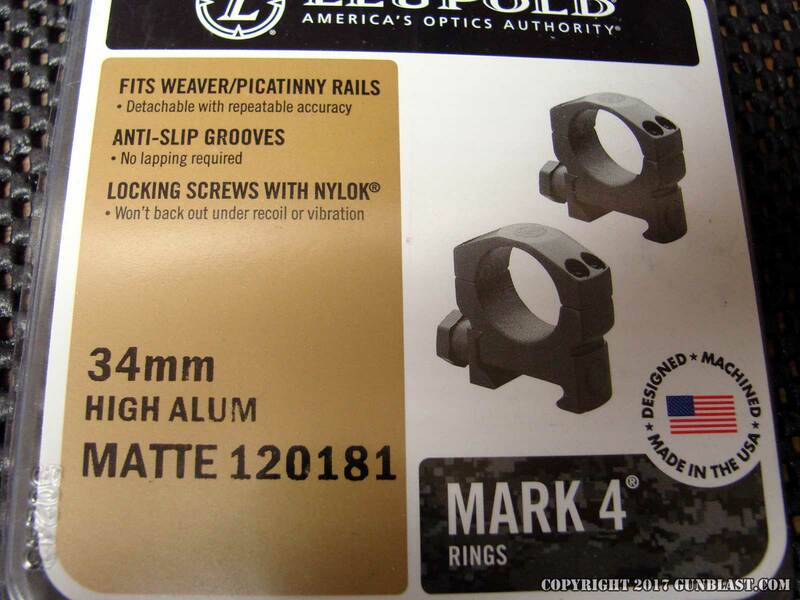 For a look at quality Leupold optics, go to www.leupold.com. 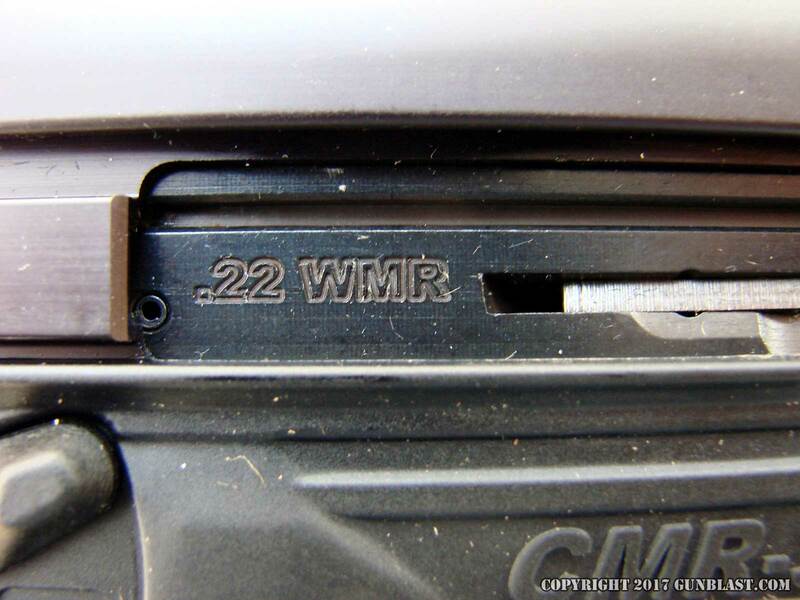 To order the CMR-30 online, click on the GUN GENIE at www.galleryofguns.com. 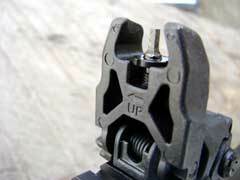 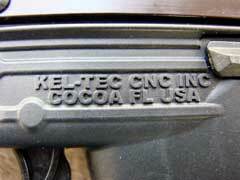 For the location of a Kel-Tec dealer near you, click on the DEALER FINDER at www.lipseys.com. 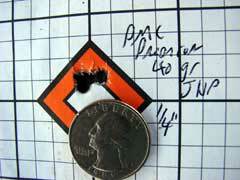 To order quality 22 Magnum ammunition, go to www.midsouthshooterssupply.com and www.luckygunner.com. 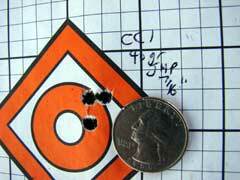 Fifty-yard groups, including best and worst groups fired. 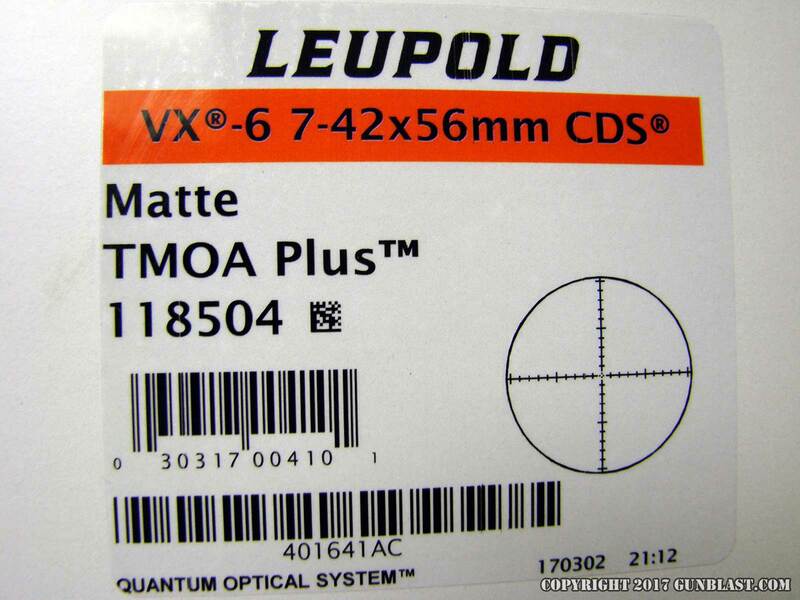 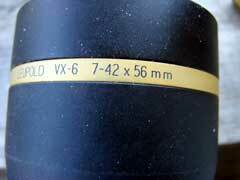 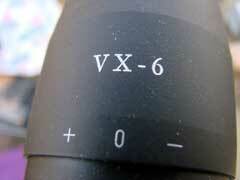 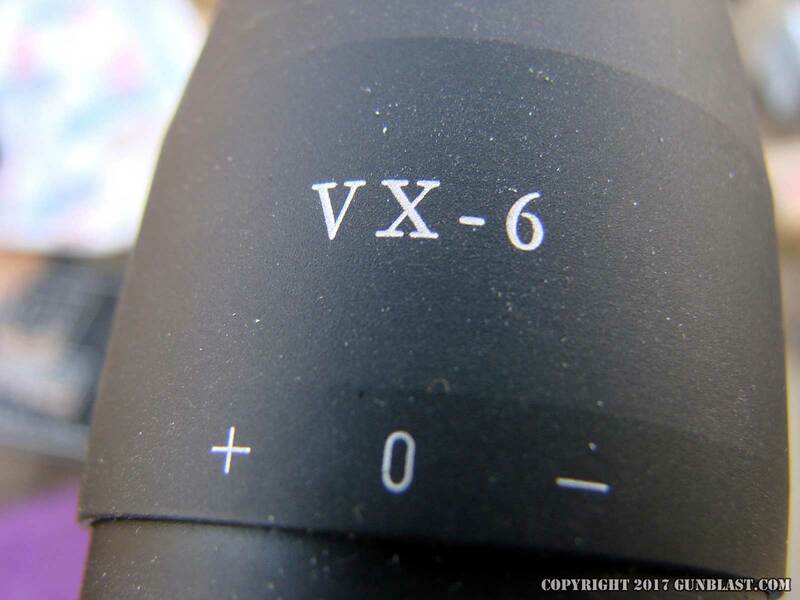 Leupold VX-6 Target Scope was used for accuracy testing. 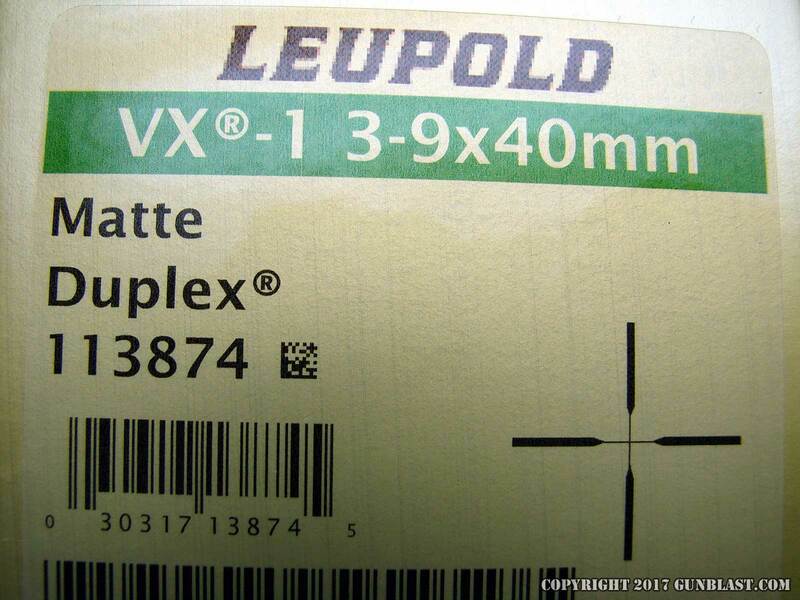 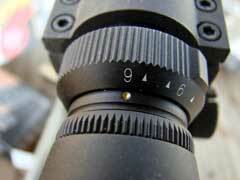 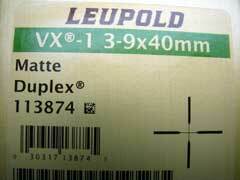 Leupold VX-1 is an excellent choice for the CMR-30 carbine.